Hello everyone! Happy Saturday. Today, I have a card featuring an Action Wobble. I used the Banner Bash stamp and punch set from Stampin Up! 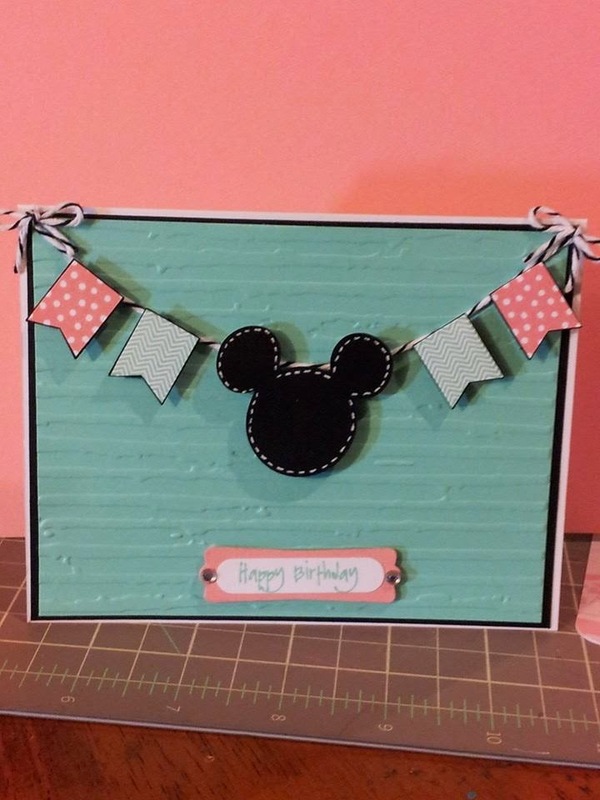 along with a cut from the Mickey and Friends Cricut cartridge. The Mickey head is placed on an action wobble for a little added fun. I also used some 2013-2015 in colors from Stampin Up! Coastal Cabana and Crisp Cantaloupe. I ran the background paper through my cuttlebug using the embossing folder entitled distressed stripes.